To read this article in full you must have registered and have a Premium Content Subscription with the n/a site. 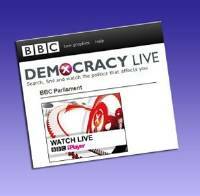 TYNWALD proceedings could be broadcast on the BBC Parliament channel.That was one of the suggestions for improving the broadcaster’s service to the Isle of Man made by BBC executives giving evidence to a Tynwald select committee. The Tynwald select committee has been set up to examine whether the TV licence fee offers value for money for Island viewers and to assess what the impact would be of withdrawing from paying the fee. Giving evidence at Wednesday’s hearing, the BBC’s head of external policy Wilf White and head of new media, nations and regions division Laura Ellis said they were keen to hear new ideas for improving the service to the Island. Ms Ellis said it would be ‘fantastic’ if Tynwald coverage could be provided on the BBC Parliament channel. Mr White told the Manx Independent, after giving his evidence, that he believed there would be interest in Tynwald coverage but it would be for Tynwald itself to decide whether it wanted to be televised. He told the committee that he had hoped the Island could get its own local TV, provided as part of the BBC’s website. But he said the BBC Trust had rejected the idea of creating such new local TV stations, ruling the impact on commercial operators would outweigh the public value. Mr White said the BBC received an estimated £4.5 million in revenue from the Isle of Man.